BARCELONA—Cisco today announced powerful assurance innovations across its intent-based networking portfolio that will help IT teams shift from reactive to proactive. It will address the 43 percent of time IT spends troubleshooting, while making IT operations more proactive, agile and automated. The software innovations represent significant advancements in mathematical modeling and contextual insights, accelerating Cisco's strategy to reinvent the network for the digital era. Over the past few years, the explosion of devices, adoption of cloud, and exponential growth of security threats have challenged current approaches for building and managing networks. Cisco's vision is to create a network that anticipates operational issues, stops security threats in their tracks, and continues to learn, adapt and protect. 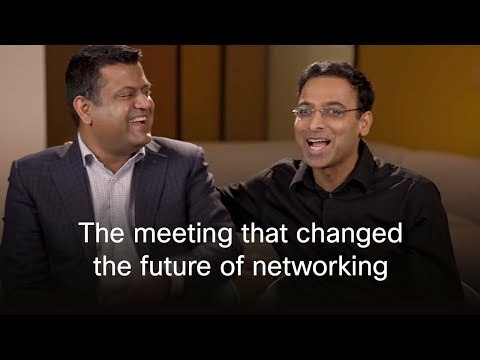 To realize this, Cisco is driving the intent-based networking revolution by transforming the entire network, from the data center and campus, to the branch and edge. In the data center, the Cisco Network Assurance Engine uses continuous verification of the entire network to help keep business running as intended, even as the network changes dynamically. And, for customers with distributed IT operations, the new Cisco Meraki Wireless Health reduces mean time to remediate wireless issues with rich analytics and insights. "The network has never been more critical to business success," said David Goeckeler, executive vice president, Networking and Security Business at Cisco. "We're reinventing the network from the ground up to deliver a secure and intelligent platform for digital business. Today, we are taking another major step toward that ambitious goal with intent-based networking innovations designed to deliver contextual insights and assurance that will help transform IT from reactive to proactive." Cisco's intent-based networking portfolio represents a fundamental shift away from the manual and time-intensive methods by which networks are traditionally managed. These intent-based networks capture and translate business intent into network policies, and activate them across the infrastructure. With the introduction of assurance capabilities, they can now continuously verify the network is operating as intended. Customers globally are embracing intent-based networking. Nearly 200 customers are in early field trails with the new assurance technologies, including Robert Bosch GmbH, REWE Group, Houston Methodist Hospital and Scotiabank. More than 1,100 customers are deploying the recently announced Catalyst 9000 Series switches, with 150 running DNA Center pilots. In the data center, Cisco has more than 14,500 Nexus 9000 customers, with a 45 percent ACI attach rate. Today, Cisco is introducing three powerful new assurance products that further demonstrate how intent-based networking systems move at the speed of digital business. In the campus and branch, Cisco is enabling ‘everything as a sensor' and aggregating intelligence from the network, application, client and things to help provide IT with full context. These capabilities will dramatically reduce the 43 percent of time that IT spends troubleshooting and improve the experience for employees and customers. "We are constantly bringing on new applications and expanding our data center capacity as we expand our business. The Cisco Network Assurance Engine helps enable a new level of quality for our application migrations. With a detailed understanding of the policy model and proactive verification of all changes, Cisco Network Assurance Engine can help us greatly reduce the risk of production outages and accelerate our timelines." "DNA Center helps me find problems proactively, before users contact me. With a mostly wireless network, I'm able to find devices throughout the network and quickly solve any problems with the help of analytics." "As a Cloud Service Provider, our business depends on network availability and delivering on customer SLAs. We are always looking for modern technologies to manage our multiple data centers and remain an industry leader. Cisco Network Assurance Engine's approach of ‘always on assurance' for our network and services will make our operating model more proactive and help enable us to remain as the best-in-class service provider to our customers." "Cisco DNA Center allows the networking team to focus on our core projects and give more responsibility to the first line support team. It lets our team be proactive when it comes to resolving issues, before it becomes a problem to our users." "The more intuitive that I can make troubleshooting, the sooner I can take the network out of the equation. With Cisco DNA Center Assurance, the Scotiabank first line support teams can now take a proactive approach to resolving wireless issues and the engineering networking teams can work on growth and forward-looking opportunities." "At West, we run critical communications infrastructure for our customers, and as such, scale and speed are vital for our operations. Using the change verification process, we see Cisco Network Assurance Engine as a way to achieve higher levels of automation with increased certainty, allowing us to confidently move at a faster pace." 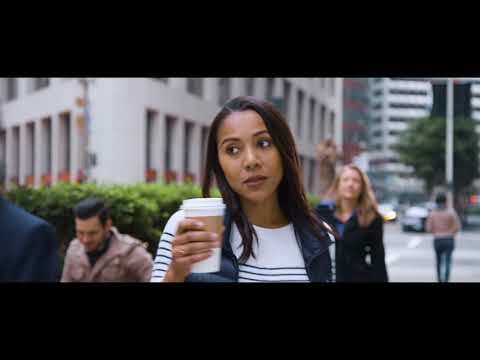 The Cisco Network Assurance Engine is available now, initially for Cisco ACI customers, with a free, 30-day, no-commitment trial. Customers can purchase it via software subscription. Cisco DNA Center Assurance is available now. Customers can purchase it via the Cisco ONE subscription offer for networking. Cisco Meraki Wireless Health is expected to be available in early 2018. It will be included with the standard subscription for Meraki Wireless Access Points. Cisco and the Cisco logo are trademarks or registered trademarks of Cisco and/or its affiliates in the United States and certain other countries. A listing of Cisco's trademarks can be found at www.cisco.com/go/trademarks. All other trademarks mentioned are the property of their respective owners. The use of the word partner does not imply a partnership relationship between Cisco and any other company. Many of the products and features described herein remain in varying stages of development and will be offered on a when-and-if-available basis. This roadmap is subject to change at the sole discretion of Cisco, and Cisco will have no liability for delay in the delivery or failure to deliver any of the products or features set forth in this document. This document is Cisco Public Information.